How Long Is My Wedding Film? I’m gonna break down exactly what’s included in our full day wedding film packages so you’ll know exactly what you’ll be getting with us. When we give you the edited video it’ll be divided into 4 main sections. Girls Getting Ready, Guys Getting Ready, Ceremony, Park Scene (that’s when we go out and take photos and video of you), Cocktails, Reception Entrance, Dinner, Performances (if you have any) Cake Cutting, First Dances, Bouquet and Garter Toss and of course my favorite the Dance Party. 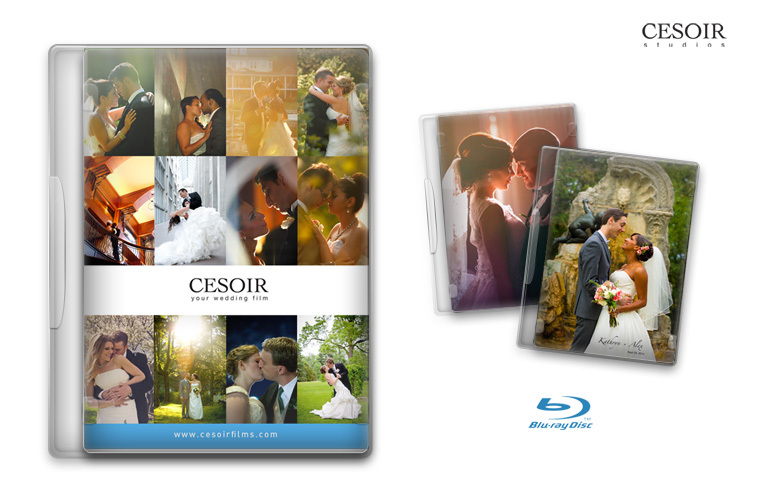 In a full 12 hour day package the main wedding film usually runs between 30 – 45 min. Some times it could go over if you have a lot of performances or a really long reception entrance. For example when we shoot Lebanese or East Indian weddings we find they tend to be a bit longer because there’s just so much going on. The full ceremony and speeches are not put into the wedding film because I find that it slows down the flow of the film because they are so long so we put them into separate files. However, in one of our packages we will edit parts of the ceremony into the film because it’s a perfect transition into you cocktails scene and reception entrance. The ceremony is always recorded in full between 2 camera angles. One angle is a wide shot and the other is a medium shot. By having 2 camera angles your film is much more interesting to watch. One angle is just too boring. The length of the ceremony is completely dependent on the type of ceremony you have. It could run for 20 min or an hour. When we shoot the speeches one camera angle is on the speaker and one angle is on the bride and groom for a few reaction shots. If your speeches run for 30 min then we give you 30 min of edited speeches. If they run for 2 hours then you get 2 hours of speeches. I think the record length for speeches I had was 3 and half hours. That’s a bit much (please don’t do that). The last thing in your package would be your music video. This is my favorite part to edit as it shows off the best of the best of the day in a few minutes so you can share it with your family and friends. They may not want to watch your main film but will love watching themselves party with you on the dance floor. I’ve found that once couples share it on Facebook and YouTube you’ll get so many great comments from your family and friends. I’ve found that 99% of people will watch your music video but only your close family and friends will watch your wedding film, so that’s why we put so much energy into editing the music videos. So ultimately how long is the wedding film? Well, if we add up the main wedding film and say its 45 min long and the ceremony is 45 min and then the speeches are 1 hour, we would be up to 2 and half hours already. Plus we then add the music video. With that you have the very best of your wedding day to watch years from now and have an amazing memory to share with your kids. A wedding film could be 2 hours – 3 hours long on average once you add up all the different scenes together. I would of loved to watch my parents wedding film in the way we shoot it today or in any way actually because they only had a few photos to share with us. As you know we offer photography as well and think its very important to have. But I found after talking to couples over the years that they’ll get 1 or 2 prints framed (sometimes) but they always go back and watch their music video and years later their wedding film is really the best way relive their day. Its actually one of the top regrets people have after a wedding. When you watch your film years from now, I think you’ll be really happy that you decided to get it.